Join the green revolution and grow your own fruit and vegetables! 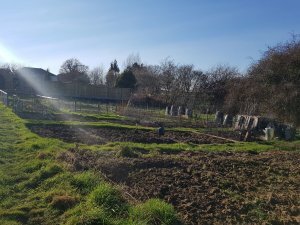 Cam Parish Council has a developing allotment site at Ashmead 2 with a few gardening plots still available. If you are interested in renting one of these, please contact us on 01453 548884. Work continues to full develop the site. 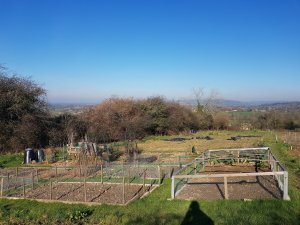 A short pathway and handrail have been installed to ensure safe access onto the allotments and a stock proof fence is planned to allow the bottom section of the site to be used for animal grazing.